Infielder Danny Espinosa was placed on waivers for the purpose of granting him his unconditional release. ST. PETERSBURG — While many people thought that Taylor Motter’s demotion to Class AAA Tacoma on July 24 was some sort of punishment for being picked off in the ninth inning of loss to the Yankees the day before, the decision had been made well before that. With playing time and at-bats sparse for Motter, who had been struggling at the plate, the team decided to option him to the Rainiers and try re-find his swing and approach with consistent playing time. 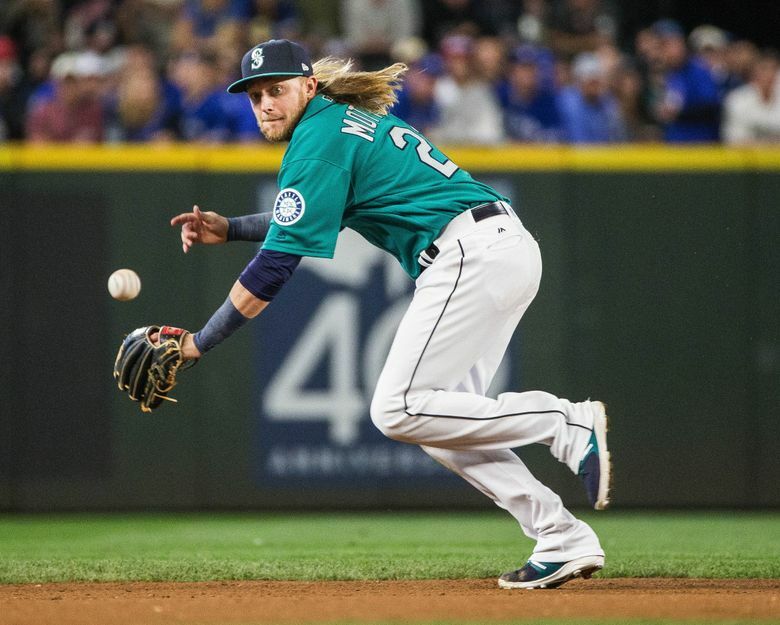 After doing that and more in Tacoma, Motter was recalled and joined the Mariners on Sunday morning at Tropicana Field. Indeed, Motter was hitting .350 (35- for 100) with six doubles, a triple, seven home runs, 18 RBI with 14 walks and 6 stolen bases in 25 games with the Rainiers. He had 14 hits in his last 20 at-bats before being called up. There wasn’t some major swing or approach change. It was a change in thinking. Playing every day allowed Motter to find a rhythm and make minor adjustments in games from at-bat to at-bat and pitch to pitch. He had hit just .180 (27 for 150) with a .500 OPS, four doubles, two homers, 10 RBI and 40 strikeouts in the 52 games before being sent down. 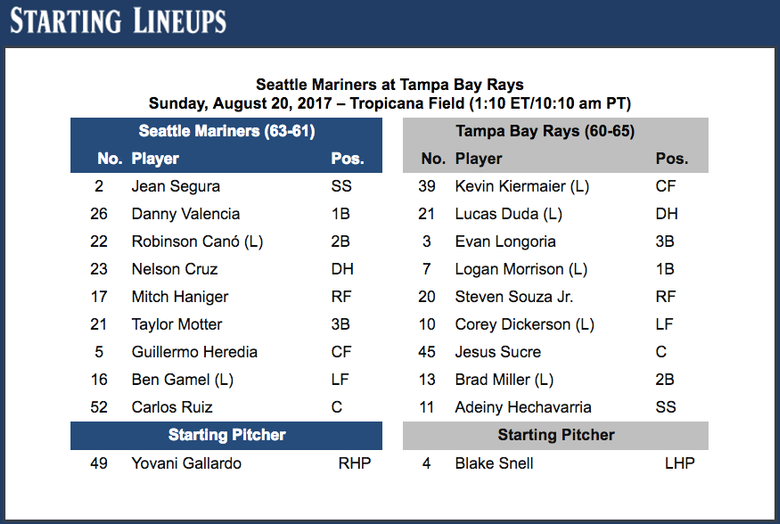 With lefty Blake Snell starting for Tampa and Kyle Seager still feeling the effects of a stomach virus and 12-pound weight loss, Motter was immediately inserted into starting lineup at third base against his old team. To make room for Motter on the 25-man roster, infielder Danny Espinosa was placed on waivers for the purpose of his unconditional release. Espinosa appeared in eight games with the Mariners, going for 3 for 16 with two doubles and two RBIs.